Complete the TRAINING programs before working with the programs in the EXERCISES section. 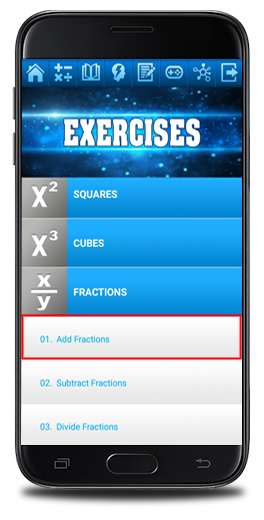 There are many exercise programs to help you validate and improve your mental math knowledge. These programs allow you to work on a particular technique at your own pace. Once an answer has been provided press the DONE button and the program checks whether or not an answer is correct. 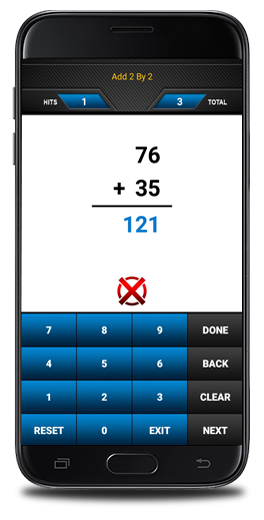 There is no time limit and the programs keep tracks of the number of correct answers and the total number of math problems practiced. An ADDITION technique is selected from the EXERCISES section. 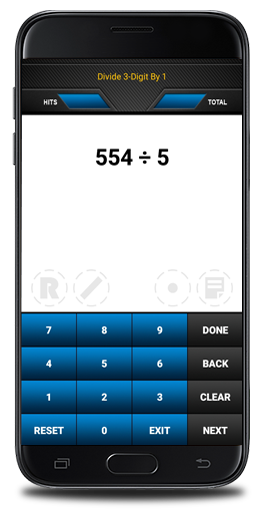 The technique involves adding two digit numbers to each other. Use any of the appropriate addition techniques for solving the problems. A DIVISION technique is selected from the EXERCISES section. The technique chosen here involves dividing three digit numbers by single digit numbers or divisors. 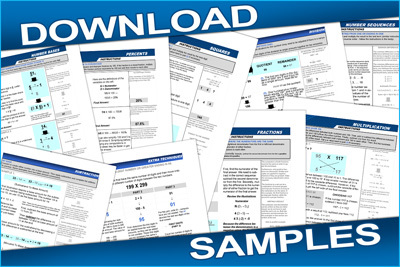 A FRACTIONS technique is selected from the EXERCISES section. Several techniques exist for different operations involving fractions. The program starts when initiated. 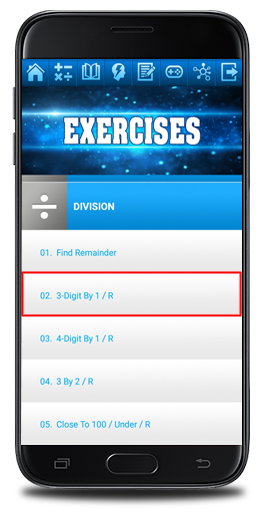 The EXERCISES programs need inputs from you an answer to a problem requires to be entered so use the proper buttons. Press the NOTES button for more information. 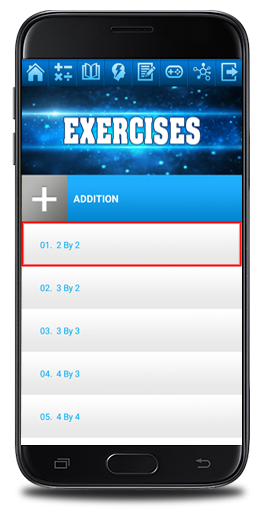 Again, press the NOTES button for more information before beginning any exercise program. This technique requires you to enter a remainder or a R if the answer needs a remainder. Thus, press the R button when entering a remainder. Due to working with fractions, the / symbol is required when entering the answer unless the answer is a whole number. Note that some buttons (highlighted in gray) are not used pressing them will not create any characters.